ACCEPTING BACK UP OFFERS! 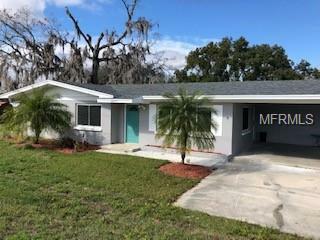 This unique property is a combination of three homes on the 1.53 acres with the main house being 3 bedroom and 2 bath with tile throughout, new AC, approx 1year old roof, new master bath and completely remodeled home. The additional 2 homes are rented on a month to month basis with long term tenants that bring in a combined rent of $1075. House # 2 is a 1/1 block home, completely remodeled with 2 year old roof. the 3rd home is a 2/1 and is the only wood frame house with asbestos siding with a long term tenant of 10 years and the home has not be remodeled. The third home also has a new roof. The property is right on Socrum Loop and could possibly be rezoned to commercial property. 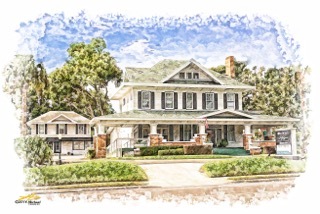 this is a great opportunity for someone that wants to live in the main house and have the tenants help supplement the mortgage payment or vacate the tenants and rezone the property for business use. Bring all offers! Seller is ready to make a deal! Owner Financing available.